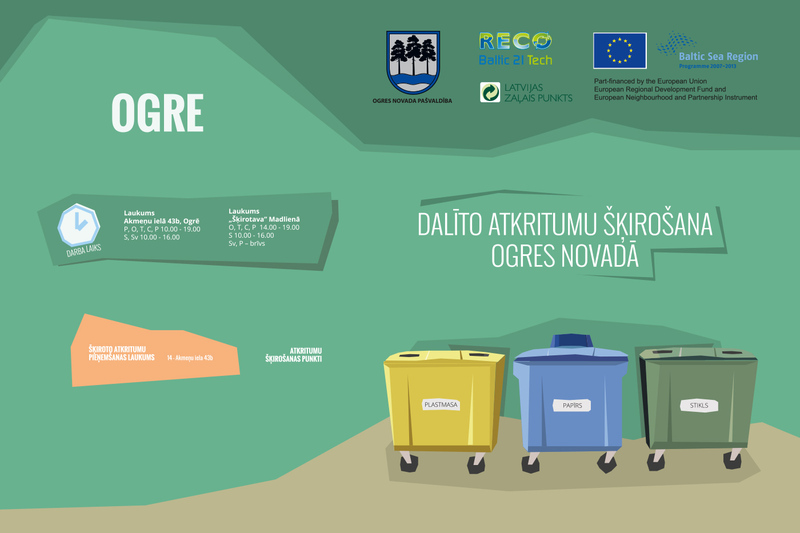 BRIGHT has designed a brochure for Ogre municipality about sorting of household waste. 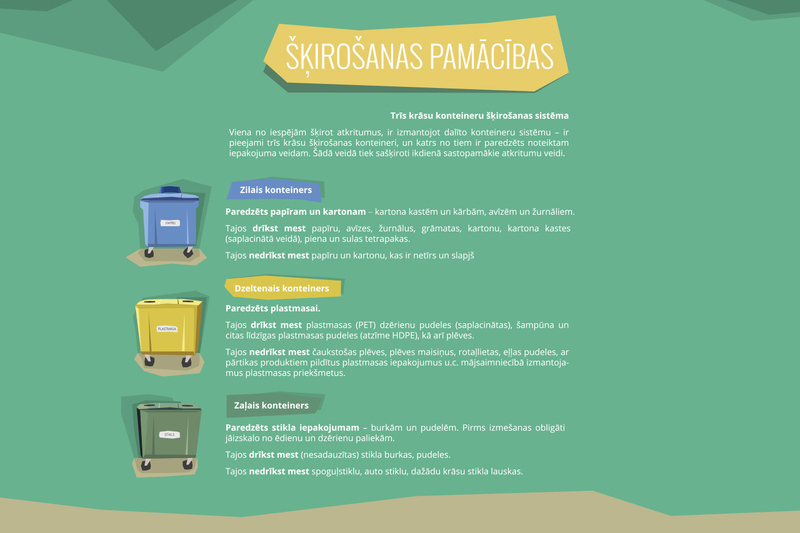 The aim of the brochure is to encourage residents to dispose of waste in an environmentally responsible manner. 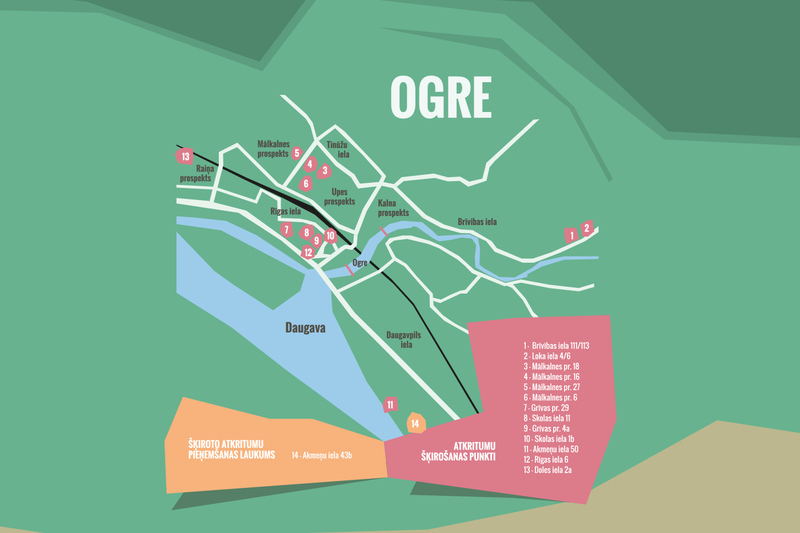 The guide includes information on types of carts for refuse and recycling waste, preparation of waste materials as well as a map of waste collection and sorting sites. BRIGHT developed graphic design that presents information in a comprehensive yet effortless style.